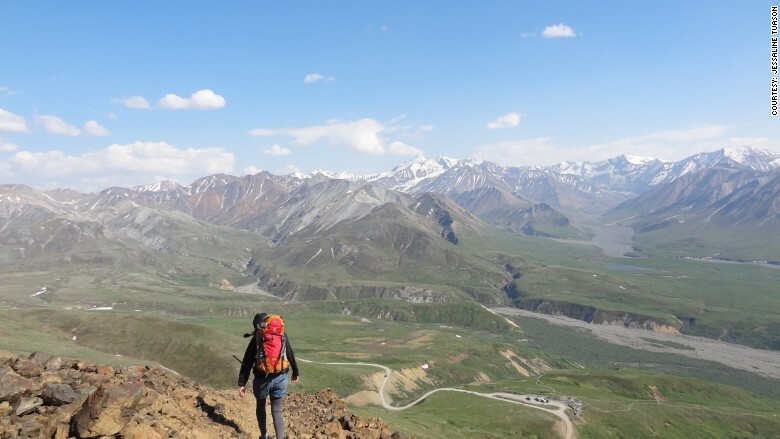 Jessaline Tuason, pictured here hiking in the Denali in Alaska, took a gap year at 24. High school and college graduates are likely thinking about their next step this time of year. For some, it will be moving away or starting a career. For others, graduation marks the beginning of a gap year -- when someone takes a year or longer to travel, volunteer or work at an unusual job. Billionaire hedge fund manager Michael Novogratz recently urged young adults to take a gap year, insisting it's a better use of time than an internship at Goldman Sachs. In Europe and Australia, many young people take a gap year between high school and college or right after university. But it can be rewarding at any age. Some folks take a break from careers to reset their engines or improve their personal lives. Gap years can even spark a happy marriage. As you're contemplating your next step, CNNMoney readers share their inspiring gap year stories -- and photos. Related: A billionaire's advice: Don't intern at Goldman Sachs. Travel. Joshua and Kristina Davis hiking in Nepal. They took a gap year after getting married. The Newlywed Gap Year: Kristina and Josh Davis said "I do" nearly two years ago in Orlando, Florida, then got out of Dodge. At ages 27 and 28, Kristina and Josh left their jobs, sold their furniture, house and car, and embarked on a 26-country trip for a year. "I'm the dreamer in the relationship. Josh is the accountant, he's really practical," Kristina says of her ambitions to travel. After backpacking in Europe from Iceland to Istanbul, they flew to Australia and later New Zealand where they lived in a camper van. The first few months weren't all "rainbows and unicorns," Josh says. They argued often, having to spend all hours of the day together sharing everything. At one point they considered breaking up. Josh acknowledges that he wasn't including Kristina enough in key decisions. One day, while sitting next to Lake Taupo in New Zealand, Josh told Kristina he realized the trip could only go forward if they made decisions together. The conversation at the lake was the turning point in their trip and relationship. "Getting used to sharing every single decision and spending every single minutes of our lives together -- it took some adjusting," says Josh. "But we got through a point where we just clicked, and from that point through today I think our relationship is stronger." The couple spent four months in Southeast Asia -- from Bangkok to Cambodia and beyond -- and three weeks hiking in Nepal's Himalaya mountains. 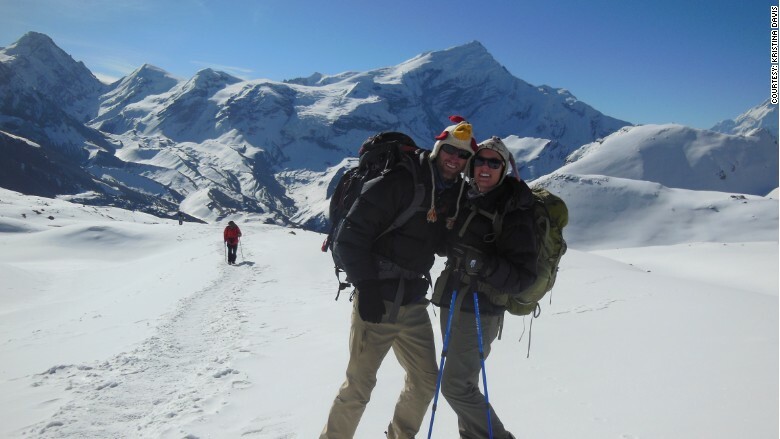 They capped off the honeymooning gap year with visits to Kenya and Peru's Machu Picchu. Kristina, now 29, and Josh, 30, returned to live in Orlando. Kristina found a job as a staffing recruiter and Josh, an accountant, got the deal of the century. His accounting firm let him take a sabbatical and then he got a raise when he returned. His boss said Josh's travels showed how much character he had. They believe their careers and relationship are better because of the gap year. "It's hands down the best decision you'll ever make in your entire life." say Kristina. And Josh: "The risk is worth it." The High School graduate: Julieann Choi grew up in a career-oriented culture in Northern Virginia. Everyone in high school was already thinking about medical or law school. "There was a lot of pressure to immediately know what you were going to do with your life," says Julieann. She wasn't ready for college when her peers went off. She got into Virginia Tech and considered enrolling, but decided against it. Instead, Julieann interned at the Defense Department for two years, working on research projects. She then bolted out of the Washington Beltway and went backpacking by herself in South America for four months. One critical moment came on an overnight bus trip in Peru. Julieann fell asleep and eventually realized her pouch with her credit and debit cards, passport and other critical items had been stolen. Julieann eventually got to the U.S. embassy in Lima, Peru, where she learned it would take two weeks to get a new passport. Bummed, Julieann went to a bed and breakfast and found her blessing in disguise. Strapped for cash, Julieann told the B&B owner -- who was a UPenn graduate -- she would help him improve the hostel's marketing. She ventured around Lima -- even went hang gliding -- with other travelers staying there and made a marketing video. After her travels, Julieann returned to the states and got into Columbia University. She now works for San Francisco tech startup Cover, a digital payments app. The 'Lean In' gap year: Jessaline Tuason graduated from college in California in 2010 and worked in marketing for a couple of years but wasn't keen for the 9-to-5 life. 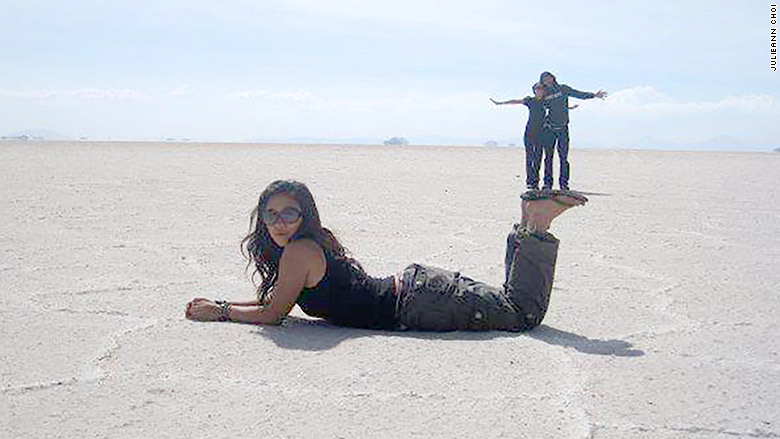 Tuason quit her job and hit the road on a quest to see all of America. She made it to 49 states in seven months. She lived in her Subaru Outback part of the trip, and with friends and even friendly families she didn't know the other part of the trip. Many people told her that a woman shouldn't be traveling alone across the U.S. But from Alaska to Key West, Tuason was determined to break the stereotype. She says she never ran into any dangerous situations. "I did it to prove to myself and to people I knew that women are capable of doing this on their own," Jessaline says. Hit with the travel bug, Jessaline, now 26, went on to the Philippines after her U.S. road trip to do relief work. She eventually settled back in the San Francisco Bay area and is now a recruiter for a law firm in Palo Alto. 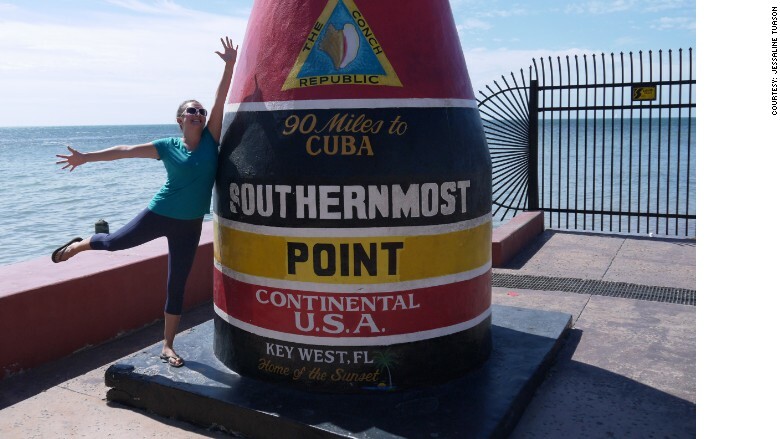 Jessaline Tuason in Key West, Florida. She took a gap year at age 24. I met my wife because I took a gap year: Dan Grabon graduated from Princeton in 1997 but wasn't sure what he wanted to do after school. He decided to teach English in rural South Korea with a program affiliated with Princeton. Although he had never traveled abroad, Dan, who studied engineering and East Asian history, felt at home in South Korea and didn't want to leave after a year. "Almost as soon as I got there, I knew I wanted to be there longer than that," Dan, who runs a brand licensing firm, says. Dan, 39, acknowledges that he could have taken a different path and made more money, but he has no regrets. "I can't feel that I missed out," Dan says. "A lot of it has to do with taking that first step and getting on the plane."